More than 187,500 Happy Customers have received over £25.9 Million! We work closely with Royal Mail so that our parcels are insured, quick and secure. You can also pick up a free gold selling pack from your nearest WHSmith. We buy a wide range of gold, platinum, palladium and silver jewellery and coins. 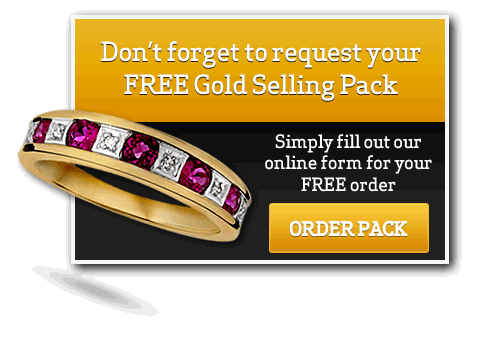 Furthermore, we will match any price offered by other online gold buyers for your scrap gold. Gold prices up 10% in last 3 months! We have over 30 years’ experience of valuing gold and jewellery. When your items arrive they go through a strict valuation process to determine the true value of your items.